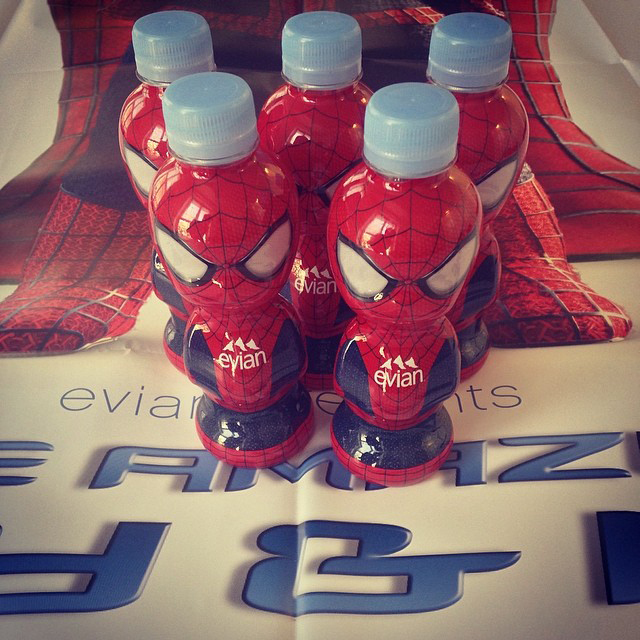 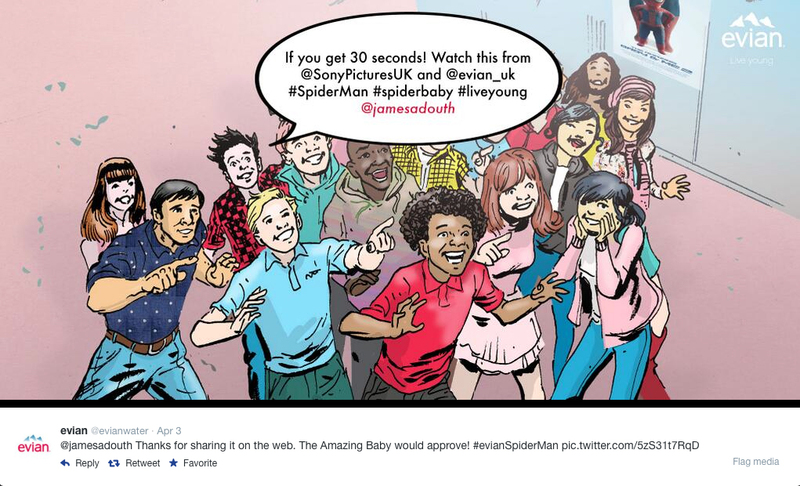 French water brand evian has launched a new episode in the Baby & Me campaign tied in with the Marc Webb film, The Amazing Spider Man 2. 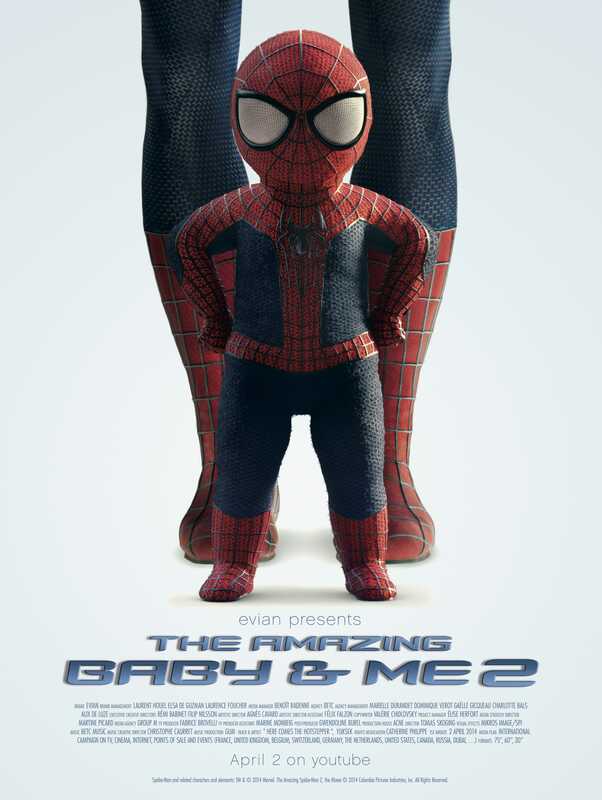 Peter Parker’s super hero persona comes face to face with himself as a child before entering into a superhero dance off. 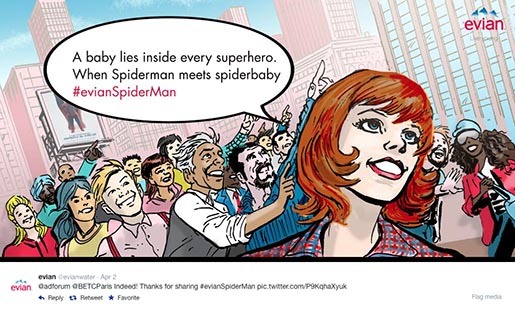 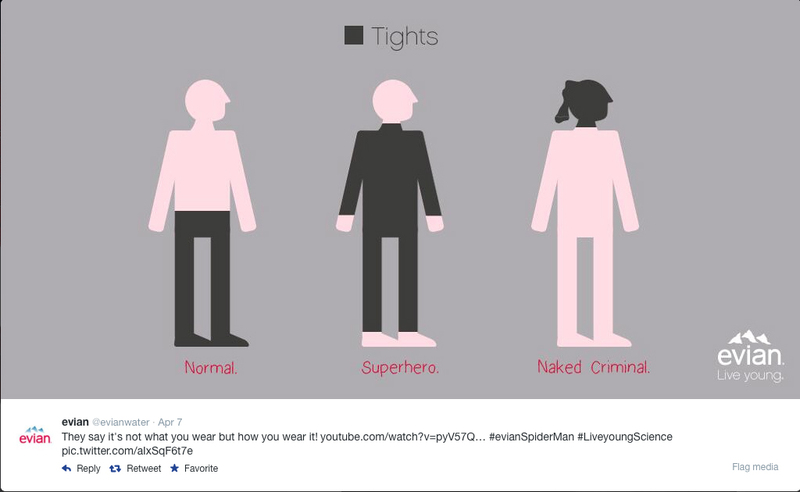 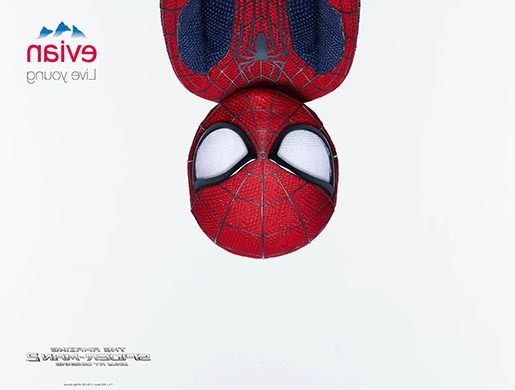 The campaign includes the production of 5000 collector bottles, and elements on Instagram, Twitter, Pinterest and Facebook elements, with the hashtag #evianSpiderMan. Filming was shot by director Tomas Skoging via ACNE with producer Richard Bjorling and editor Sam Danesi. 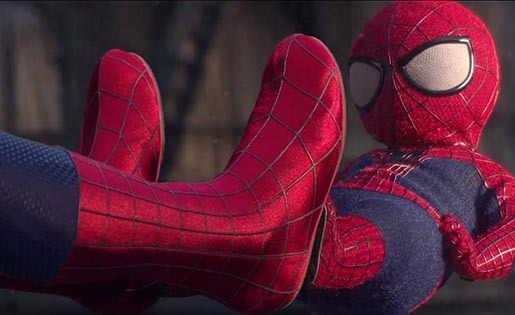 Visual effects and CG were produced at Mikros Image by head of VFX & animation Julien Meesters, head of CG commercials Benoit Holl, head of VFX production Fabrice Damolini, VFX supervisor Laurent Creusot, CG supervisors Guillaume Ho and Nicolas Rey, executive VFX producer/post producer Pascal Giroux, previz artist Baptiste Sola, modelling cloth artist Thomas Haas, shading texture artist Paolo del Lucia, lead animator Alexandre Sauthier, animation team Nicolas Cazaux, Augustin Paillard, Mickael Nauzin, lighting and compositing team Julien Haillot , Mathias Barday, Guillaume Ho, compositor Sébastien Podsialo, rotoscope and restoration artists Jeremy Bouvier, Guillaume Noel, colourist Jacky Lefresne, Flame artists Laurent Creusot and Jao M’Changama, adaptation and versioning team Elise Grison and Marie-Cécile Juglair, assistant Avid artists Léa Latassa, Pauline Royo and Jean-Martin Mossu. 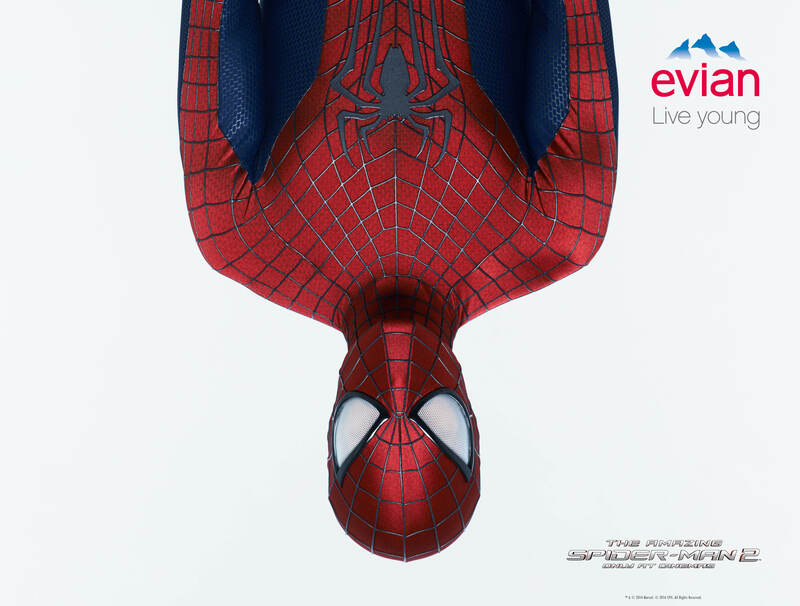 Photographer was Benni Valsson via Rita Productions, with producers Sarah Belhadj and Annick Audoux. 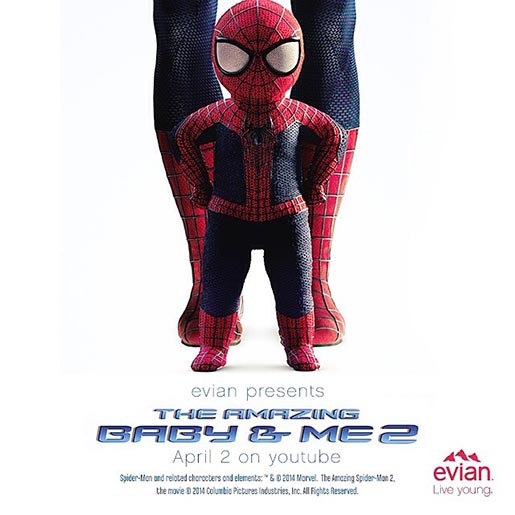 Media planning was by Group M.
Music is “Here comes the Hotstepper – Evian remix”, by Yuksek, supervised by BETC Music by creative director Christophe Caurret and rights negotiator Catherine Philippe, and produced at Gum.. Download the track on iTunes.